By this point, it's no secret that Android upgrades are a mess — but this was supposed to be the cycle where everything got better. Google's Android 9 Pie release was the first Android version to feature the full benefits of Project Treble, a complex effort to make it easier for manufacturers to update their devices with new operating system versions. And lemme tell ya: Such a solution has never been more desperately needed. Last year's Oreo upgrade marked the worst performance by device-makers we've ever seen on Android — and when you consider the already-rock-bottom starting point, combined with the sharp downward slope in upgrade delivery times over the past several years, well, that's really saying something. 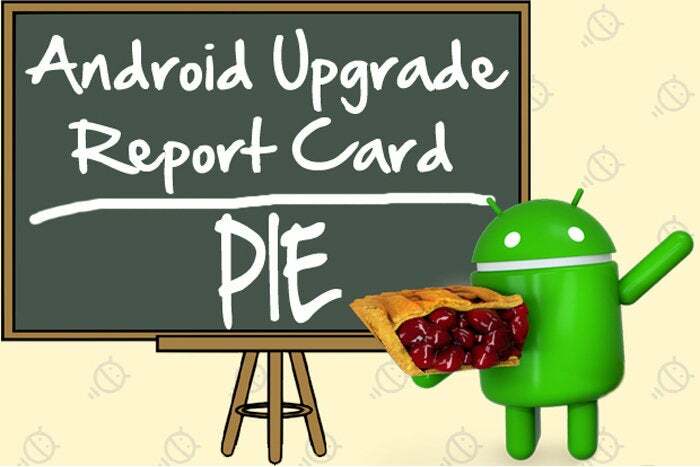 Now that we're six full months past the launch of Android 9 Pie, it's time to step back and look at who's making upgrades a priority and who's treating them as an afterthought. Get ready for some raw, honest, data-driven truths — and for a more detailed look at what these results tell us about Treble, see my separate analysis: "Android Pie and Project Treble: Did Google's upgrade fix work?" It's no surprise to see Google leading the pack with a solid "A" score in this latest Report Card — but it is worth noting that Google has actually earned its highest grade ever with its first 100% mark this go-round. In past analyses, Google has either faltered — slightly — with its previous-gen flagship, or at the very least lost some points for leaving certain models of its phones hanging longer than others and then failing to communicate anything about its progress to the people who own said products. This year, the big G started rolling out Pie to both its then-current-gen Pixel 2 phone and its then-previous-gen original Pixel model on the same day the software was announced. (For the purposes of this analysis, it's the start of a rollout — to a flagship phone model in the U.S. — that counts.) And while the usual "rolling out in waves" asterisk applied, Pie made its way to all Pixel owners within a reasonable amount of time, without the need for any extra communication beyond the company's initial announcement. Pixel upgrades may not always be immediate, given the staged rollout process Google likes to use, but they are always quite speedy — and consistently in a league of their own. Sure, we could argue that Google has a unique advantage in that it's both the manufacturer of the devices and the maker of the software, but guess what? That's part of the package. And the results tell you all there is to know: Google's phones are without question the most reliable way to receive ongoing updates in a timely manner on Android. It's the only company that overtly makes a guarantee about that, let alone delivers on it — and it's the only company that now offers such support for a full three years from a phone's launch date, compared to the typical two-year window, thereby giving its devices even greater long-term value. Coming into second place for its second straight year, OnePlus did reasonably well with getting Pie onto all of its recent devices. The then-current-flagship, the OnePlus 6, saw its upgrade in late September — a respectable if not exemplary month and a half after the software's release. (The OnePlus 6T didn't come out until November, after Pie's release, so it isn't relevant to this analysis.) The dual second-gen flagships, meanwhile — the OnePlus 5 and 5T — both received their upgrades just under five months after Pie's arrival, right before the end of 2018. As has been the case in the past, OnePlus didn't do much in the way of communication with customers — no official estimates, no promises, no meaningful updates or ETAs along the way. The only real communication was an announcement in the company's forums that a rollout was beginning. So if you owned a OnePlus device, all you could do was wait blindly and hope the upgrade might show up on your phone soon. All in all, it's a decent performance, and it's heartening to see OnePlus steadily improving with each passing year. (Last year, while it still rather astonishingly held the second place position, the company came in with a pretty poor 65% "D" score.) So there's plenty of good stuff to be said for its efforts. 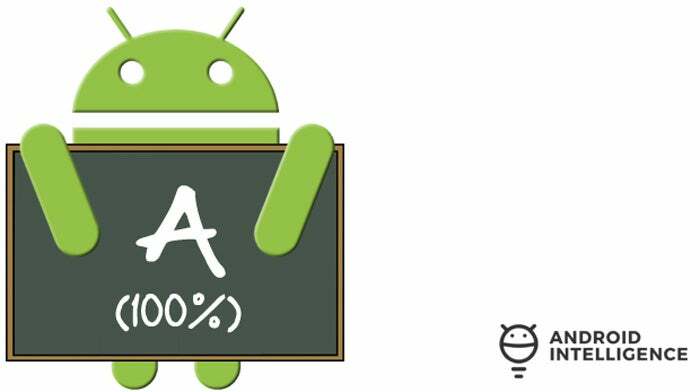 Even so, a 74% "C" grade shouldn't be the second best upgrade delivery performance by any Android manufacturer. And, just like last year, things get way, way worse from here. Credit where credit's due: Samsung actually got Pie onto some U.S. flagships within the first six months of the software's release. That's more than we can say for the company's efforts last year, with Oreo, when it had accomplished absolutely nothing by this point and consequently received a big fat zero in this assessment. But, c'mon: Taking just shy of six months to get a major operating system update onto your current-gen flagship is not cause for celebration. When you set the bar embarrassingly low the previous year, with a nearly seven-month wait time for your highest-priority customers, sure: There's (hopefully) only room for improvement from there. But this is hardly a respectable result, and we still haven't heard a peep about when Pie will make its way to owners of Samsung's previous-gen flagship products. In the bigger picture, all Samsung has really done here is return to its minimal-effort level from two years earlier, with the Android 7.0 Nougat rollout. That rollout was a big step backwards from Samsung's performance with Marshmallow, which itself was a big step backwards from its results with Lollipop. (And, you guessed it: That result was nothing to write home about, either.) Adding insult to injury, Samsung never makes any effort to communicate with customers about the process or what can be expected. Samsung can — and should — do better. As I've said more times than I can count, particularly for a company of its size and with its immense financial and engineering-related resources, not being able to deliver updates to people after all those months (with the benefits of Treble in place, no less) comes down to one thing and one thing only: priorities. There is one interesting asterisk to this: Motorola did deliver Pie to its midrange Moto X4 phone in the middle of December. My guess is that that's because the X4 is also available as an Android One phone, which means it has a model that ships with "stock" Google software and is part of a contractual agreement with Google that requires Motorola to deliver OS updates within a certain window. This pretty clearly suggests that when Moto has the motivation and has to make an upgrade happen in a semi-reasonable amount of time, it can do it. But when it doesn't have the motivation? The data says it all. Regardless, for the sake of consistency and establishing a metric for comparison, this analysis focuses solely on regular flagship phones that are readily available in the U.S. (you can read more about my methodology here) — and that means, unfortunately for Moto, its midrange phone upgrade doesn't factor into this result. The company does get a few points for putting in a minimal amount of effort on the communication front and at least releasing a list of which devices would be updated shortly after Pie's release. Motorola also still maintains a database where you can search for info about the upgrade status of any particular device model. But the initial announcement contained no specific timing info — not even vague estimations — and the database, a leftover from the company's Google-owned era, is barely even updated anymore and doesn't seem to contain any specific info about the progress or likely launch window for any phone's upgrade. It's a token effort, basically — a relatively empty one — and so a few points are all it can earn.